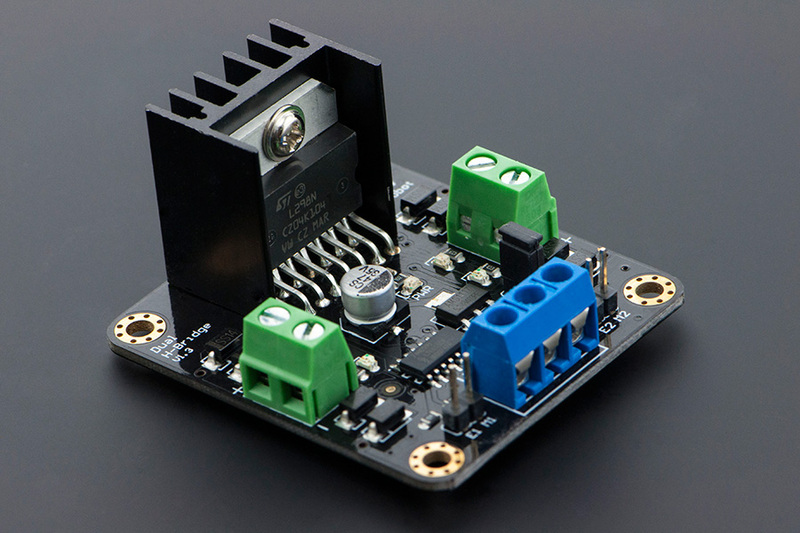 This is a 4.8-46V, 2A Dual Motor Controller which is the revised version of the DF-MDV1.0. Its performance has been improved greatly. It can bear larger current due to the increased haetsink dissipation. It is easy to control, using LGS's outstanding high-power motor driver chip, the L298N. This chip allows for direct drive of two bi-directional DC motors, and incorporates high-speed short diodes for protection. Drive current up to 2A per motor output. The driver uses a broad-brush design to reduce wire resistance. The terminals are used to connected to the motors, which labeled "+" and "-" representing motor polarity. Motor Status LED: Motors work normally, thus the lED will light up. 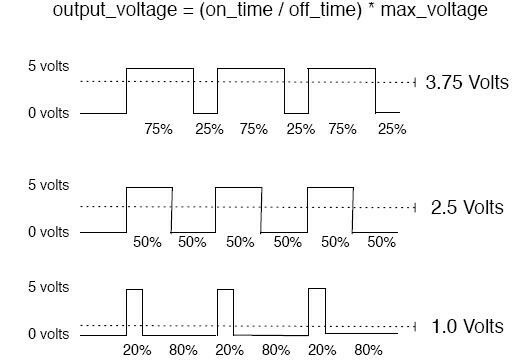 When jumper is shorted, logic power supply voltage is the same as the motor power supply. 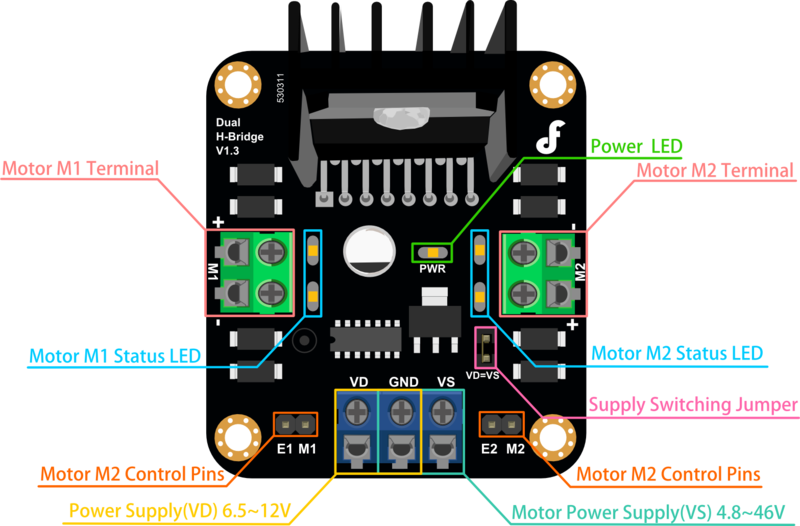 If motor power supply is less than 12V，you can set jumper shorted. If motor power supply is more than 12V, dont't short jumper! M1,M2: Motor Signal Pin. Eg: M1 = 0,the motor rotates in forward direction. M1 = 1,the motor rotates in back direction. 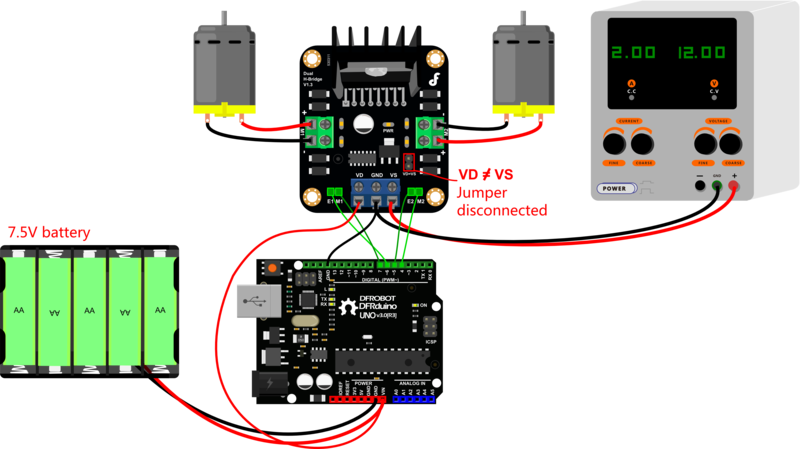 This tutorial shows you how to use l298N motor drive shield to drive two DC motors.